Hey Guys, we have great news for those aspirants who want to build their career in Assam Public Service Commission. Here, in this article, we are going to provide all the relevant detailed information about the APSC PGT Recruitment 2018 in the below discussion of the posts. Interested & hard working Individuals may read out this complete post & grab all the detailed information and then you may apply offline for the APSC Veterinary Officer Vacancy 2018 from the official portal of Assam Public Service Commission i.e. apsc.nic.in. For additional information related to the upcoming govt. jobs, admit card, result & answer key etc. you can bookmark our careerjobs360 official site & grab all the latest news from here. 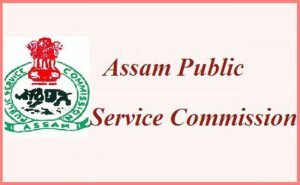 The APSC-Assam Public Service Commission Department has published the employment advertisement for Assam PSC Notification 2018 for recruiting eligible & skilled aspirants for fill up 169 numbers of Veterinary Officer, Fishery Development Officer & Others vacant posts in the Assam Public Service Commission department. Job Seekers who are searching for the government job in Assam State then they may apply offline for this Assam APSC Fishery Development Officer Recruitment 2018 from the official web portal of the Assam Public Service Commission. Interested & talented contenders may submit their offline application form on the given postal address on or before the end date which is 19th March 2018. Moreover, information related to the APSC Jobs 2018 like as academic qualification, age criteria, selection procedure, application charges, & how to apply are mentioned below in the post. Contenders who want to fetch additional details then they may read this article till the end. Age relaxation will be applicable for the reserved category as per the government rules & regulations. For Veterinary Officer/Block Veterinary Officer Post: Candidates must have Passed a Bachelor Degree in Animal Husbandry & Veterinary Science from recognized Board, Institution. For Fishery Development Officer Post: Candidates must have a minimum qualification of B.F.Sc Degree from any Board or University recognized by the I.C.A.R or D.F.Sc. OE completed Master of Science in Fisheries from C.I.F.E. General Category of Candidates must have to pay Rs. 250/- as an application charges. SC/ ST Category of Candidates must have to pay Rs. 150/- as an application charges. Selection Procedure: Aspirants will be selected on the basis of their performance in given round which is going to be accompanied by Assam Public Service Commission. How to Apply offline for APSC PGT Recruitment 2018? Then, go to the notification section on the homepage and search out the APSC PGT Recruitment 2018 notification link. Paste the signature and recent passport size photograph on the application form. Now, send the application form to the given postal address which is mentioned in the below article.